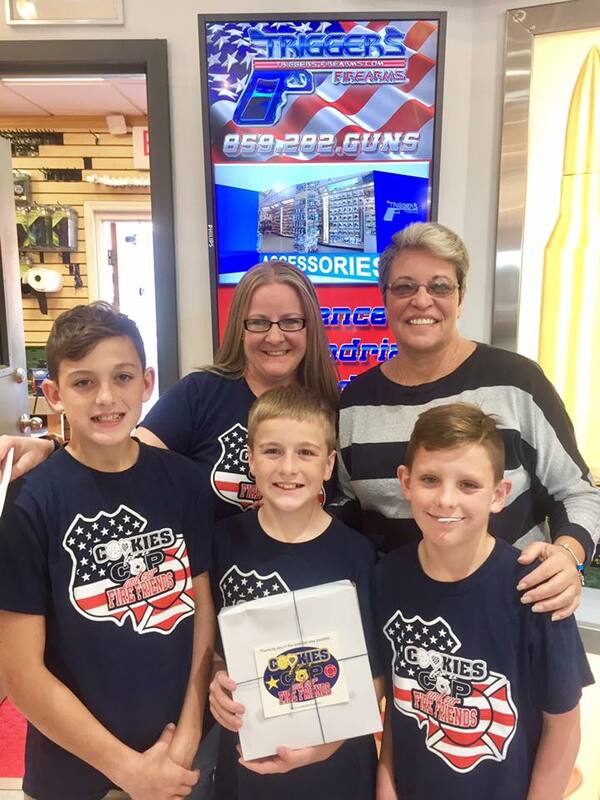 Our first and most amazing sponsor came just days into what was a crazy idea to deliver some cookies to some local law enforcement agencies in late 2014. Within four (4) days of this idea, with the help of friends and family, we were able to grow this idea from a random thought to a movement that was already set to deliver to seventy five (75) departments. It was about this time that I started to receive emails from other local departments asking how they could get their men and women added to our growing list. I was losing sleep. We were set to deliver in just 2 weeks and I didn’t know how I would come up with the cookies to pull all of this off. Then it happened. I was on my way home from sorting toys for a Christmas event for children when I got a call. It was DeAnna from Triggers Firearms / QuickCash Gold. 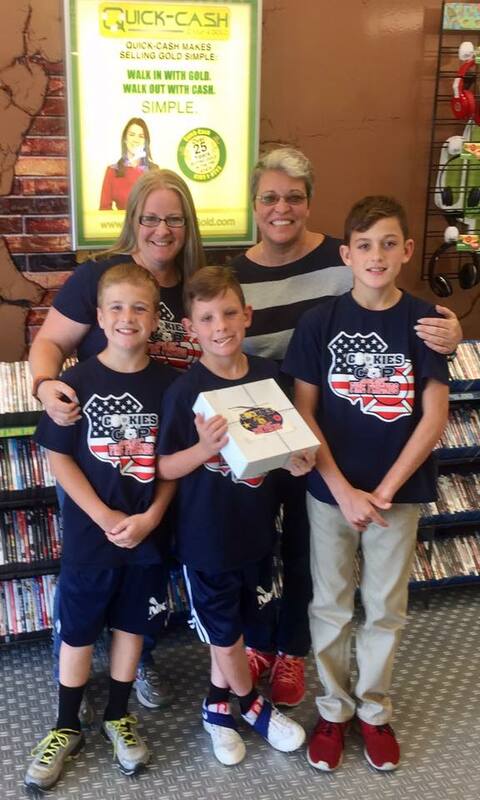 She said that she and Rodney saw what we were doing and found it so important that they wanted to help and offered to purchase a large amount of cookies for us. I was moved to tears. This was just the first blessing to come in making this mission possible. I was now able to not only grant the requests of those who had reached out but also was now able to deliver more and more and more thanks to their amazing donation. Triggers Firearms and QuickCash Gold didn’t stop there though. 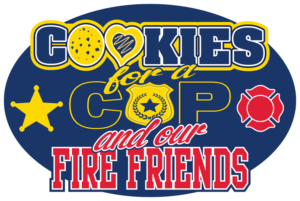 They continued the following year (adding more) and the following (again, adding more) and now for the fourth time, they are again back and adding more to make this possible not only for our local law enforcement but for our fire departments as well. I can’t begin to express enough how much these people care about you. They have never once asked how this will benefit them. The only reply I ever get from them is that this was long overdue and that someone needed to be doing this – FOR YOU. Should you have the opportunity, reach out and let them know you appreciate their commitment to this project and their concern for you. They are a significant reason so many of you in the Northern Kentucky / Greater Cincinnati area are covered year after year after year. Their donation this year will allow for over 11,000 cookies. I don’t mean to again emphasize a point in this post but just so you didn’t skim over that – ELEVEN THOUSAND COOKIES. It blows my mind. 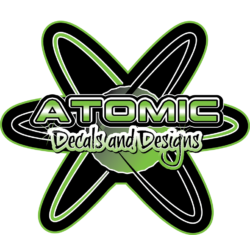 Each year, we have used firefighter owned Atomic Designs and Apparel for our decals and leader tshirts. Each year they then donate to help offset our gas and lunch costs so we can forget this thought when out making our deliveries. Troy at Atomic Design and Apparel is amazing and has always gone out of his way to do whatever he can whenever he can for this and other projects. We very much appreciate him. We have those who help us by stepping up to donate items such as the boxes we use, the tissue paper, wax paper, ribbon, gloves for food handling, dog treats, balls for K9s, and so much more; all to make our deliveries possible. We have countless people across the US who continue to step up to make this possible, year after year. Our leaders and volunteers are amazing and many of them having been around for all four events now. Whether their role comes via delivering, baking, sorting, or any other capacity, we appreciate them so much.